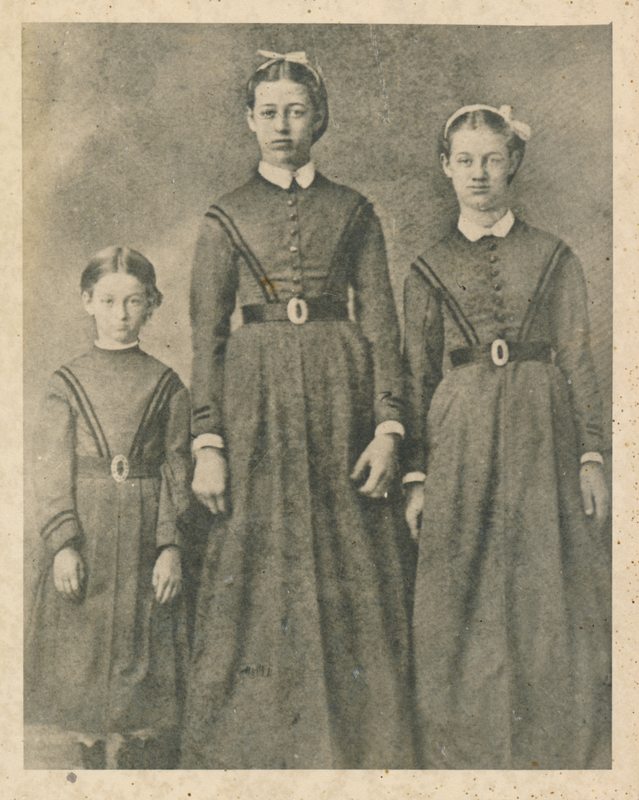 Description Photograph of the three daughters of Waters and Lucretia Carman. Helen Adelia (Della) Carman, Mary Lucretia Carman, and Henrietta Sussanah (Etta) Carman. Their ages at the time of the photograph were 10, 14, and 12 years of age. Photo courtesy of Gary Glenn.